At about 3:45 this morning, I draped a small blanket over my shoulders and stepped outside to walk across my lawn and look up to the heavens. 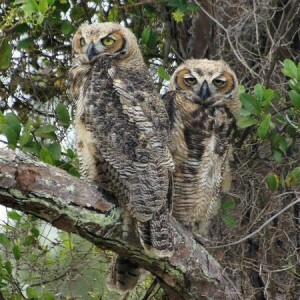 Two great horned owls exchanged calls as I settled into a lawn chair on the wet grass. 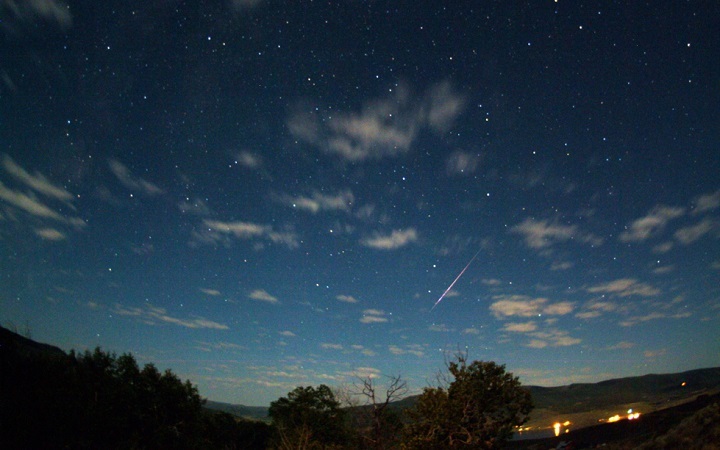 What got me out of bed so early was the annual spectacle known as the Perseid meteor showers that this year were unusually easy to observe due to the presence of only a small sliver of a nearly new moon. I’ve made a habit of this practice going back many years and 2015 turned out to be the big payoff. Twenty feet from where I sat, a dear friend I hadn’t seen since 1975 was fast asleep. He’d come earlier in the week for a visit to rekindle a friendship that began in our freshman year of college. Changed almost beyond recognition, Michael was there that day almost exactly 40 years ago when I first met my wife, so with that distinction he’d earned a special place in my own expanding universe. Within the first thirty minutes of star gazing, I was treated to the wonder-full sight of a dozen or more streaks of light that quickly melted any preexisting ideas of the boundaries of consciousness and reopened my imagination to that “final frontier.” Traveling at 30,000 – 40,000 miles per hour, these ancient rocks hurled through the Milky Way Galaxy and lit up much more than the pre-dawn sky. By the end of an hour, shortly before the light of dawn, I’d lost count somewhere around 40 sparklers. I am always amused by friends who, while claiming their “macrobiotic” view of the world gives them a superior perspective, seem to forget how utterly microscopic we all really are. Einstein’s Theory of Relativity coupled with short films like Charles and Ray Eames’ Power of Ten or the more recent “How Big is the Universe” remind me of a more accurate scale to consider each day. Teaching the “big view” can get a guy into trouble without some honest self-reflection. Compared to mine, Michael’s world might seem smaller. On the way to the airport to drop him off for his plane ride home, I learned he’s never been to Europe, nor walked the streets of Hong Kong or strolled along the Cape of Good Hope as have I; in fact, he’d lived most of his life within a fairly small radius of territory in the Eastern US. I felt sad that he’d not seen the canals of Venice, the Swiss Alps or Stonehenge. For that matter, I was even more disappointed he’d missed a chance to witness the ruins of tsunami-ravaged villages along the coast of Japan near Fukushima, or met the incredibly resilient people of Samoa or Nepal after a devastating earthquake. This doesn’t mean we both cannot make an equal difference in the world, but more to the point, can I get over my self-importance and run-away-ego when comparing notes? This old college friend has every bit the same potential within, his body composed of identical material, his mind no more limited. Indeed, we are all the same, macro or micro, part of this “life is but a dream” world. How then can we find that inner light, that infinite place of luminous awareness that connects us through strands of particles undefined by self-imposed identities or imagined limitations? We may not need a meteor shower to gently shift our perspective. A hike with Michael up a mountain trail took us briefly to that bigger view, a tower overlooking the countryside near my home. It’s good to change lenses when we can, cut new pathways and break away from routines that block our sense of place among the stars. If nothing else, it roused my inner muse and prose emerged. cool night air above a walkabout. calm surrender dispels every doubt. which are really his, or mine, or ours? we are little more than shooting stars. In the cardinal numbers 1-9, most people assume from the study of various forms of feng shui, numerology, divination or related subjects that everything begins with the number one. Specifically, when assigning a “beginning” point (if ­­it is not an oxymoron to assign such a thing within an infinitely repeating loop) this assumption would be erroneous. Click here to see how the sequence began and don’t forget to click again to see where it goes. Yes, it’s the number 3. That green energy of the East, the rising of the sun, the birthplace of civilization and ultimately all that is new, vital, source and origin. Three lines in basic Chinese symbolism suggest Heaven above, Earth below and “Man” in between. Omne trium perfectum says the Latin (good things come in threes), a principle that implies that when three things occur together it is more significant or inherently amusing. Tic and Tac would surely be a lonely pair without Toe, as would Larry and Curly if Moe went solo. Whether seen in the religious trinity of Father, Son and Holy Ghost or what Albertus Magnus claimed “is in all things that signify natural phenomena,” three is a big deal. Lao Tsu said the triad produces all things; for Dante, it revealed the principle of Love. Rock, paper, scissors. Animal, vegetable, mineral. Acids, bases, salts. Three is everywhere in science, architecture, religion, philosophy, history, geometry, literature, fairy tales, music. And three as it occurs in the Chinese Book of Change’s eight basic trigrams is of particular interest to me. related to Elders – our parents, grandparents, teachers and all who came before us. This is what gives us life, breath, the essence of being in the world. And how exactly did that occur? Well, if you don’t know you might ask someone nearby — anyone older that 6 should be adequate. Our parents gave us life. When we are able to accept this single fact, inhale this truth with every breath for as long as it takes to acknowledge this reality despite the myriad of other feelings we might carry around related to those two essential agents of Heaven and Earth who created that initial spark — the one that exploded from the meeting of sperm and egg into the body we inhabit — we would access that human quality referred to as gratitude. Since I began counseling nearly 40 years ago, I’ve learned so much from many individuals with life threatening illness. Who would have ever thought that there was a two way street in the consultation process, that those facing their impermanence would share this deep wisdom with me. I’ve observed that the most common denominator among those who survived was their ability to face the challenge with an amazing spirit of grateful acceptance and self love. To be clear, no patient I met ever jumped up from the chair when the doctor confirmed a malignant tumor. At the start, not one man told me how happy he was with the diagnosis of H.I.V. nor did any woman I counseled celebrate her new breast cancer. These are hardly normal first responses when learning the awful truth of a deadly disease growing inside. Yet somehow, over time, after allowing the very real anger, fear and grief to surface, those remarkable survivors could be heard to say “this was the best thing that ever happened to me – I had a chance to self-reflect, to look deeply at my priorities, to take stock of who I was in the world and what I really wanted from life.” In the simplest of terms, survivors settle for nothing less than a full court press with gratitude. Starting with appreciation for life includes thanking our parents for the life we’ve been given. It’s not necessary to call or write them to embody this feeling, though doing so can be a powerful expression of love; however, I know of no better mantra with which to start the day. Expressing gratitude to our parents, still living or long passed, makes it easier to be grateful even in difficult times. Just allowing an awareness of gratitude for others to emerge within our minds – especially those who came before us to lead the way — can be life changing. I am truly so thankful to my ancestors, elders, mentors and teachers who have guided me, and to my parents who gave me this life. This is one reason that many years ago we renamed our foundation Fortunate Blessings – acknowledging our Elders from the beginning of life while recognizing the truth that within every crisis there is an opportunity for personal transformation and gratitude. I’ve just celebrated a birthday, and now move along in what I am referring to as the prime of life. Nudged by age and an infrequent alignment of the new year I enter — a prime number – I’ve an unusual opportunity to blog more often. During this year, I plan to post a short missive on my website — williamspear.com — a total of 72 times over the next 365 days. How often will I write? It’s kind of a crazy idea – but I thought to myself why not write on those number of days AFTER my birthday that are themselves Prime Numbers. So today, my first offering is aptly titled “(2)” because it is 2 days after my birthday. I’ll post “(3)” tomorrow because 3 is a prime number, two days later I’ll post “(5)”, another two days later, “(7)” – then “(11)”, “(13)”, “(17)”, “(19)”, “(23)”, “(29)”, “(31)”, “(37)”, etc. Those are all prime numbers – as is 359 days after my birthday, nearly a full year from today in the prime of life. What will I say? That’s anyone’s guess, but those who know me probably expect some arrogant pontification or pedantic posturing. If I’m careful, I’ll let them down and offer something of value, a personal story or memory that might inspire, or maybe what I write will bring a smile – respite from the grim news that seems to fill the airwaves and front pages. Honestly, I’ve planned nothing more than this public announcement of commitment. It’s more a promise to myself to start writing again. So watch this space – spread the news or share this first communiqué if you’d like, and 72 times in the year ahead, for better or worse, please allow me the pleasure of your minds, hearts and, if you feel so moved, feedback. I assure you I won’t go postal (though it could be tempting) but will occasionally be political, avoiding sarcasm and cynicism (often read as offensive). Words matter and they can indeed cause pain or worse, despite the sticks and stones adage. And if only one person reads what I share, I’ll happily accept that it’s a pretty good start to a new conversation. After all, I’ve always maintained that there is only one of us here. The Emergency Phase of the aftermath of Hurricane Sandy will soon draw to a close. With power restored, survivors of this monumental catastrophe will soon be fed, clothed and housed — reconnected to life’s most basic needs. FEMA officials, insurance agents, community organizations, religious groups and neighborhood coalitions are collaborating with thousands of volunteers from all over the world to provide the ‘things’ necessary for survival. Food, water, blankets, clothing, diapers, toiletries, books, toys and virtually every material essential imaginable are all arriving daily, being collected and efficiently distributed, assuring a return to the “illusion of safety” within which we all continue to live. Most onlookers assume that what comes next is rebuilding homes, schools and businesses; indeed, the debris, refuse, sand and waste is already being cleared — inviting opportunities for reconstruction of local schools, reopening businesses and revitalizing neighborhoods. But another step precedes the Reconstruction Phase of a disaster like this, and its importance should not be underestimated. What needs to happen must focus on the extraordinary resilience of children and safe ways to rekindle their boundless joy and natural playfulness. The Recovery Phase can bring disillusionment, when attention turns not to people’s ‘things’ but to their emotions, their inner landscapes severely impacted by the very real traumas of shock, loss, grief, fear, anger and worry. These potent, natural emotions will begin to become even more evident in the days and weeks ahead as survivors take stock of what has really happened, their lives forever changed as temperatures drop further and bands of volunteers retreat. The numbing effect of placing our attention on the outer world has a way of diminishing in the dark of winter. In the next sixty days, these same emotions will now be either safely released and externalized from the tissues of the body or repressed into the depths of despair, covered by artificial smiles and a dangerous denial. When natural emotions are repressed over a period of just a few months, they become distorted, taking up residence in the physical body and manifesting later as classic symptoms of Post Traumatic Stress Disorder. Skin eruptions, breathing problems, digestive issues, heart palpitations and a wide range of emotional disturbances like sleep problems or irrational fears begin to emerge. Psychosomatic illnesses like these are most common in populations of children impacted by natural disasters when effective interventions are not instituted in the Recovery Phase. Studies have shown that 90-92% of children have natural coping mechanisms to readjust without incidence, but 8-10% of children will suffer long-term consequences. While the larger agencies provide emergency provisions in the immediate aftermath, few groups provide emotional support beyond palliative approaches, quiet counseling and minimally expressive therapies that are primarily cognitive in nature. While these efforts do carry value, they often do not reach the invisible wounds of a disaster that have become more somatic, body-centered, and latent imbalances – ones that later become physically systemic, frequently causing the symptoms described above. These problems – and P.T.S.D. — are preventable. The Fortunate Blessings Foundation “Second Response” Trauma Teams have been active throughout the world for nearly a decade. As part of our work following natural disasters, we have developed a simple, body-centered, and proven therapeutic approach with two specific goals: our first aim is to prevent and reduce children’s post-traumatic stress-related symptoms, depression, somatic complaints, functional impairment, separation fears and generalized anxiety; secondly, we build capacity on the ground so that future events can be met with similar, effective responses by local caregivers. We see remarkable changes in children within very short periods of time. Our work with tsunami-traumatized children in Sri Lanka is a testament to our success. 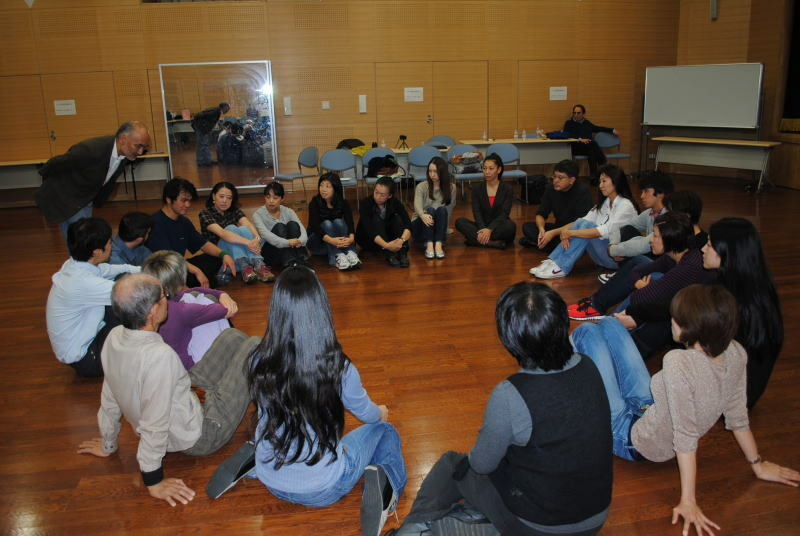 Our methods have been applied cross-culturally to American, Palestinian, Sri Lankan, Israeli, Thai, Indonesian, Japanese and Chinese students with equal success. PTSD, characterized by stress-related conditions such as asthma, skin problems, irritable bowel, nightmares, insomnia, hyper-vigilance, anxiety attacks, etc., has been significantly minimized in the groups with whom we’ve worked following our protocols. It is our intention to train caregivers, social workers, teachers, parents, health ministries, mental and physical health personnel, and others in order to help children before PTSD sets in. We can teach and demonstrate our methodologies and pass on this expertise to local teachers, parents, and health professionals as we’ve done all over the world. What we do is very simple, completely non-confrontational and deeply respectful. Our “work” occurs to children as playful fun and games. We will organize trainings in the tri-state area beginning in the second week of December and will conduct our “playshops” throughout the following 10 days. We are available to go wherever our efforts are welcome, including any and all affected areas to “play” directly with those impacted. Depending on funding and availability of staff, each team has 2-6 experienced Ph.D. psychologists, social workers, youth counselors, or others with vast experience working with children affected by trauma, loss, grief, fear, torture, and natural disasters. We also travel with celebrities, artists and other local notables who can attract a wider audience through their own contacts and recognition. A training session typically lasts from 2-3 hours and can include up to 50 caregivers. Sessions with children can be between 1-2 hours, depending upon the number and their age. We can conduct smaller sessions with affected children as well as larger groups of 200 children at one time. We are extremely good at what we do, facilitating a natural release of fears, grief, anger, and other emotions and effectively demonstrating to volunteers and lay people ways to understand the nature of PTSD. We can identify special cases and the needs of children who are severely dissociated and help to coordinate vital follow-up with local agencies and mental health professionals. Our methodologies are safe, highly effective interventions that most children love and eagerly embrace. “Second Response” builds resilience, restores hope, and focuses on recovering the original ability of children – the boundless joy of life itself. We welcome inquiry, donations, support and collaboration. Click on the Red Headline above to read the letter we’ve just sent to our mailing list. Please pass this on to others who you think may be able and interested to support our work in the areas impacted by Hurricane Sandy. As the Emergency Phase of this disaster begins to wind down, we will soon be partnering with a likeminded global disaster relief organization to start the Recovery Phase wherein our mental health teams will provide badly needed emotional support in the affected populations of children who were traumatized. We welcome all donations, volunteers, and any form of support. Thank you for all you do. How do we create holistic thought? More than just an assemblage of ideas, true holistic thinking emerges from a deep relationship with nature, our immediate environment and the food we consume. This short segment is taken from a longer lecture given in New York City in 2011. Speaking on the invisible toxins in our environment, I tell the story of being fitted for shoes as a child and the accompanying exposure to hidden dangers that few people considered unsafe — until many years later. The modern view of pregnancy focuses almost entirely on the physical; most traditional cultures understand that the whole child is developing – body, mind and spirit – and places great emphasis on the importance of emotions and spirit as well as physical development. In which corner of my house should the kitchen go? The two better known approaches to feng shui, the compass and form school, each have their benefits; however, a blind use of either without taking into consideration many other factors, can result in a dogmatic approach to solving simple problems. Here’s a brief excerpt from a recent lecture I gave in New York that illustrates an example of how using compass feng shui may not always be the best approach. Reliving the experience of the event through haunting pictures, memories, flashbacks, nightmares or a sense that the event is not over; reliving the stress caused by the event when placed near or in settings where the event took place, i.e. the village near the ocean or places near the nuclear reactors. Avoiding behaviors in an attempt not to be reminded or exposed to the associated stress. These include disinterest in things that are normally fun, introversion or shyness beyond normal cultural mannerism, no interest in planning the future, feelings of abandonment or isolation. Physical Hyper-arousal leading to loss of sleep, outbursts, startling, hyper-vigilance or “jumpy” over alertness. a burden of guilt for surviving the event itself. Reaffirm safety, protection and your own concern for the child’s overall well being. Monitor your own real emotions and feelings as they relate to the event, and take care of yourself so you can take care of others who need you. Return to and maintain a steady routine of activities upon which a child can come to depend. Watch for small problems that might develop which an early intervention (a gentle, caring chat or hug) can resolve; validate children’s emotions rather than shutting them down. Allow more time that usual for simple activities, keeping in mind a slowed pace is easier to facilitate recovery. Continual reassurances, physical contact and nurturing love are usually all that is needed for children of this age group in order to overcome the symptoms of trauma. Slowing down the processes and taking more frequent fun breaks than would otherwise be scheduled helps children of this age to work through their stresses. Physical movement like playing sports, martial arts or simple running games are excellent releases of stagnant energies. Soliciting help from these children to create their futures is a perfect response to this groups needs. Building projects which directly contribute to their future, creating new curtains, painting, carpentry skills and other things which allow them to be an accepted part of the adult community dramatically reduces symptoms. Each caregiver must convey a new growing safety in his or her mannerisms, behaviors, language and unconditional presence. Keep your word and rebuild trust. If you say, “I’ll be back tomorrow,” you must come back. If you say, “I’ll call you next week,” call. Children need to reconstruct their world through trusting caregivers’ actions. Make no promises you cannot keep. Help children to regain meaning in life by talking openly about what has happened – not “why” it happened. Trust that they can develop their own sense of why at an appropriate time later in their lives. Give them hope, and talk about the future. Patience. Don’t rush expressions of mourning or grief. Children may vacillate between outbursts of crying and ecstatic laughter. This is a normal coping mechanism and caregivers need to follow the lead of the child. Listen. Let children know you care by engaging them in simple conversations, and then be prepared to truly listen. Sharing your own feelings briefly might “open up a dialogue with a child. Remember. Support children in recalling their deceased parents or siblings. Talk about what they loved, what they miss, and what they might not miss!! It is unnecessary to react in any other way than your presence. Remove all blame. Some children take responsibility for the death of a parent or sibling, thinking they could have acted in a different way to warn or protect, or done something more to help. This guilt requires your sensitivity. Do everything you can to reassure the child that he or she did the best they could. Play. Remember, we are helping children, and children love to play games. Too much talking does little to help them deal with loss. Dance, play games, draw, sing – anything to express feelings or process energy in the body helps in a non verbal way as well as any talking. Include. Many children can benefit from hearing other children express their feelings. Work in small groups of 3, 4 or 5 children that create safe spaces to open up. Sometimes, the silent child will gain a great deal through this mechanism. Take time out when necessary. Don’t push. Relax, and trust the process of life to slow repair the damage of trauma. Talk with your own family and friends to process your own feelings. You are having a real experience yourself; don’t disconnect from your emotions. Find safe spaces to release and process your emotions. Eat well and try to maintain your health. Exercise and keep moving; don’t be too sedentary. Do something to relax and “escape”; read a book, listen to music, meditate, etc. to recompose your energy. Let go of judgments and resentments. Ultimately, everyone is doing the best they can. Appreciate each individual and his or her own offer of support. Trust the process. Life goes on – every day can improve. Breathe. Breathe again. Keep mindful of your breath.